In July 2019, ‘Les Mis’ will close at the Queen’s Theatre in its current incarnation and the theatre will be shut for a four-month refurb. 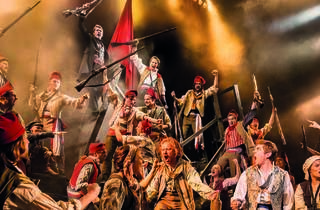 From August 10 to November 30, ‘Les Mis’ will run at the Gielgud Theatre as ‘Les Miserables – The All Star Staged Concert’, a concert version starring Michael Ball (Javert), Alfie Boe (Jean Valjean), Carrie Hope Fletcher (Fantine) and Matt Lucas (Thénardier). 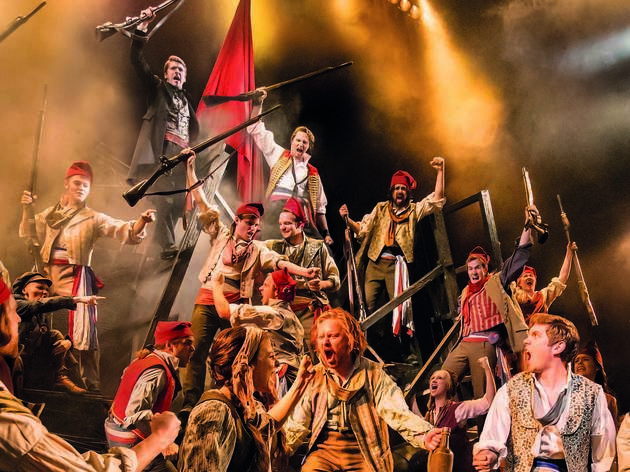 From December 2019, ‘Les Mis’ will reopen at the Queen’s Theatre, but in a different version too the one that was running at the Queen’s Theatre before. Got it? Great! If the second longest running show in the West End was looking a little tired, a rejuvenating orchestral facelift was just what the doctor ordered. Cameron Mackintosh's 'little girl' has shaken off that 1980s synth vibe and finally woken up to the organic noughties. This is a new, richer sound with strong operatic undertones and even the faint echoes of chamber music. Led by compelling ex-'Phantom…' Ramin Karimloo as Jean Valjean, this dynamic cast blows a whirlwind through the Queen's Theatre, hurtling along Alain Boublil and Claude-Michel Schönberg's famous melodrama. Aided by a swirling revolve and John Napier's stunning constructivist set, we follow Jean Valjean's journey across France as he attempts to escape his criminal past and make amends. 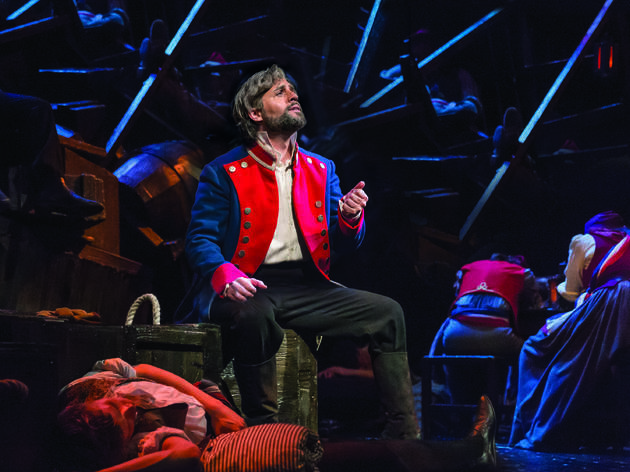 Hadley Fraser as Javert, Valjean's fated pursuer, matches Karimloo's booming vocals and moody stares step for step (at one point rather sweetly causing a premature ovation). Craig Mather and Lisa-Anne Wood do very prettily as lovelorn young leads Marius and Cosette. But it is Alexia Khadime's soaring 'On My Own' that storms the barricades; her plucky and faithful Eponine genuinely pulls at the heartstrings. For all its legions of fans, there are many who would sniff at this revived 'Les Miserables', branding it 'opera lite'. In a sense they would be right: all this histrionic bombast is only really making soap opera respectable. But so what. This updated and improved production is a real rabble-rouser and while it may be tosh, it's still stirring, beautifully made Cameron Mackintosh. This review is from 2011. 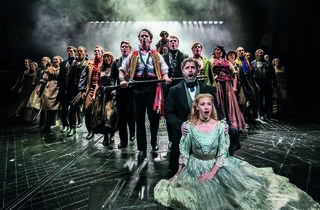 As of January 2018, the cast includes Dean Chisnall (Jean Valjean), Bradley Jaden (Javert), Carley Stenson (Fantine), Elena Skye (Eponine), Toby Miles (Marius), Amera Okereke (Cosette), Stephen Meo (Thénardier), Vivien Parry (Madame Thenardier) and Samuel Edwards (Enjolras). I waited long to finally see one of the most famous musicals of all time in English. I saw it in French a few years back, twice. Les miserable is spectacular. We all know the songs, they are moving and engaged. No need to tell you the story of Jean Valjean and Cosette, we also know it by heart. And still, we are living the musical as if we knew nothing about the story. The revolutionary flame burning in each of the young men about to fight for freedom and for the people gave me chills. The tickets are expensive but this musical worth the spending. Way too long and the story just rehashes the same story but from different angles. The singing is good and the choreography is excellent and I love the rotunda... ohhh do I love the rotunda. I am truly spellbound by the way they use it to march on the spot! Silly but really impressive and clever. The songs are memorable and the voices strong. It's a class for a very good reason but that doesn't mean that one can overlook that it is truly a good 30+ minutes too too long! Not going to lie, I wasn't keen on going as I thought it would be miserable and depressing. I could not be more wrong. You get sucked into the revolution, with powerful performances theres no way you can't love it. In addition I had understudys for both leads and they were incredible. Quite simply the best show I have ever seen at the theatre. This was purchased as a gift for my girlfriend for Christmas, as she has wanted to go for a while. I was apprehensive due to the long running time of the show, I get restless quite easily and thought I may be bored. I shouldn't have worried - it was fantastic. It really moves along at a pace with a great story, great songs expertly sung and a really intelligent use of space. It felt like the stage was constantly adapting to the scene. I would highly recommend the show to anyone with a passing interest in theatre, and as someone who isn't a huge fan of musicals usually, or the film version, this is a must! This musical will always hold a special place in my heart. Performing in it twice growing up I know it inside out not to mention that this was my first musical in London when I was a little girl which was a huge event in itself. I completely fell in love with it and going to see it again just reenforced that love. Outstanding performances along with flawless choreography with its huge set production, it's no wonder its been running for so long. 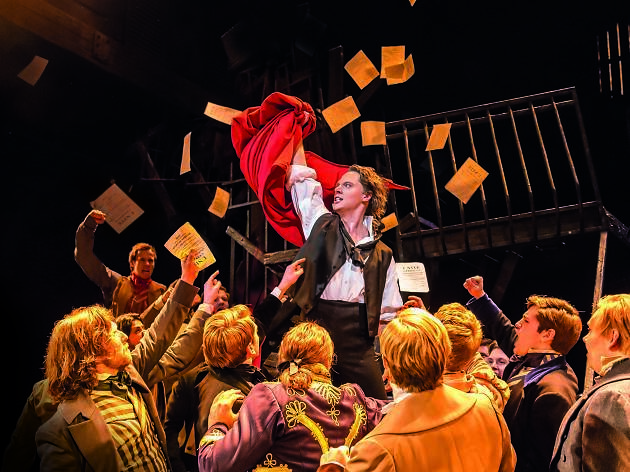 Sure there are other more riveting productions out there but Les Mis will always be timeless, and a piece of theatre to see before you die for sure. London Bucket List. Some musicals run forever and that is usually for a good reason - I watched it for the first time. I took my 14 year old niece. Its moving, powerful and the songs are just out of this world. This musical is immense. It's filled with emotion and is the only musical that's ever brought me to tears. The music is addictive and clever and I bought the soundtrack straight after experiencing the theatre event. Amazing acting, amazingly written and haunting in so many ways. It took me weeks to stop singing the songs and I'm definitely going to see this one again. Love love loved it!! I once told a friend about having seen Les Miserables for the first time. "It's the best thing I've ever seen," I said. "What? Better than breasts? You've seen breasts, right?" I can confirm, absolutely, that seeing Les Miserables for the first time was a more engaging, more entertaining, more emotionally rewarding experience than any occasion on which I've seen breasts. The first time I saw Les Mis was in the cinema at uni, when I had been awake all night. I slept through most of the movie, waking up three times to be overwhelmed by those scenes and cried. The next time, I watched the whole movie and was so emotionally charged. A few more times watching the movie and listening to the soundtrack many times with my partner's family sparked a love of the show. One Christmas, James bought me tickets to see it! It was my first West End show and so unbelievably incredible. We had wonderful seats, right by the stage. The voices, the acting, the pace of the story was so perfect. It was truly unbelievable that this wasn't an opening or closing night; everyone on stage put their soul into everything they did. The orchestra were wonderful, and seeing the passion and talent of the players and conductor truly added to the magic. The Queen's theatre itself was so old and majestic, it added to the feel of luxury of visiting a theatre production. It was a complete sell-out and deserved the standing ovation it received. 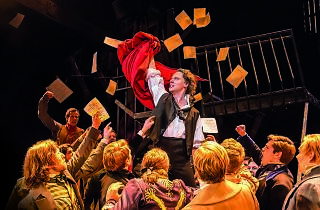 Les Mis, is the longest running musical show in the West End and it's still drawing capacity crowds. This compares favourably to the star studded film. In fact the musical performances are superior. Although most of the set designs have been overtaken by other productions, the barricade set is still iconic. Despite it being a 'musical', there are various heavy hitting themes that translate from one of the great novels of the 19th century. It is hard not to be unmoved by any of the main characters and the tribulations that they face. A truly engaging play on all levels. I love love love love love this show! No wonder, it's the longest running show in the west end, currently it's been running for 30 plus years. The story is so moving, and has a mixture of emotions you will feel whilst watching it. There's a whole range of themes this musical presents. I have now seen it twice and loves it as much as I first saw it over ten years ago. The songs are great and I've been listening to the sound track on repeat. My fav character was little Gavroche, what a star. The movie doesn't do this musical Justice, it's a must go and see it now! Top Tip- the upper circle seats are cheaper and the view of the stage is great and there's no restricted view. I was super reluctant to see Les Mis. Perhaps it was because it has been around for so long that I presumed it would be boring or old-fashioned or stuffy. Perhaps it was because I was clinging to memories of being in a massive production of the same show in my high school years... which were over a decade ago. Ahem. But when a friend came to visit me from Canada and wanted to see a show, she suggested this one, and I thought, eh, why not. WELL. I was completely blown away. The staging, the costumes, the music... ti overwhelmed me. I surprised myself be coming very emotional rather quickly; the vocals were so powerful and the cast is to be commended on their performances. Standouts included the young man playing Valjean (the cast has since changed so I can't remember the guy's name) and the man playing Enjolras (see previous parenthesis). Honestly, cast changes or not, I can't see this production's shine diminishing any time soon - so go and see it. Totally worth it. Les Miserables and are so pleased that we waited until we were in London to see it. We loved everything about this performance! Ahhh a wonderful musical that everyone must see and one that I will never tire of seeing again and again. Set in the French Revolution there are several themes throughout and it may be a little confusing at first especially if you're not familiar with the storyline and not seen the film. There was a little summary in the programme that explained things and made it seem less confusing. 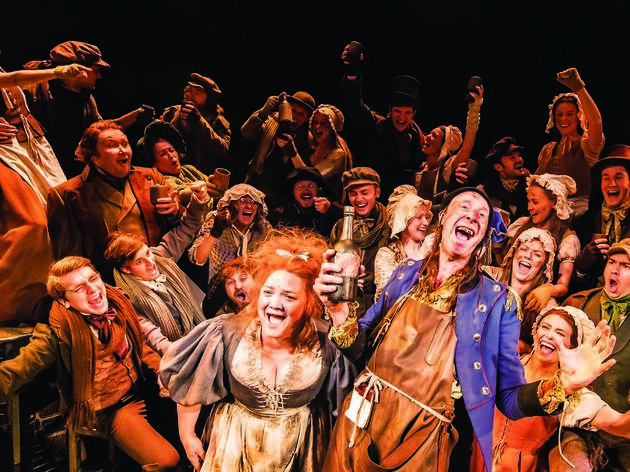 These well known classic songs will remain in your head for a while and although there are some serious moments these are well balanced from the wicked comedy moments from the Thenardiers. The music is incredible and rousing from start to finish, emotional and bound to stay with you for a long time afterwards. The musicians deserve to be equally credited as much as the actors too. Standing ovations expected and I'm really not surprised! I managed to grab a great deal sitting very close to the stage of the Queen's Theatre. It was a great view, but I did have to lean slightly just a bit. I must confess, it was my first time seeing Les Miserables on the theatre stage and it was an explosive show full of life, emotion, and love. Every actor performed exquisitely and I couldn't take my eyes away from the true beauty of the story. The part of 'I Dreamed a Dream' just blew me away, I was fixed in the emotion and the words of the song. I felt every word, every piece of suffering and it touched many people's hearts for sure in the theatre. This is definitely one of London's biggest shows being displayed. Anyone that will come to see and experience Les Miserables won't be let down for sure. It will be an unforgettable night for all. #TOTastemaker Lots of love MD. There is a reason this is one of the longest running shows ever. I have now seen this musical 4 times, and each time I go in thinking the last time cannot be trumped, and each time I am wrong, and sobbing by the end of it. If you've not seen this musical I URGE you to go. The atmosphere in the theatre cannot be rivalled by the Hollywood blockbuster version. The cast and crew are amazing, their voices are exquisite, and the theatre is stunning. I'd have given this 6 stars if I could've! Been to my third Musical to date and this is by far the best amongst all. The Queen's Theater is very elegant and has very good acoustics. Unfortunately the tickets I purchased was with restricted view at the corner of the upper circle, but overall it was not a big issue. The story was very well played out, with some comical and laughing moments. The circular rotating stage was ingenious coupled with the merging stage props which gave a very good visual effect. Overall both my spouse and I had an amazing time and will highly recommend this musical to anyone visiting London West End and only have time for one show. There is a reason why this is running for as long as it has. The movie remake, though good, still cannot hold a candle to the actual theatre production. If you love the book, the movie, the french (everyone loves the french right..?) this is definitely a must-watch. Tickets are difficult to obtain but 1-2 months in advance should be safe. Seen these a few times through multiple casts and most of the casting is always excellent, even the substitutes are amazing. How anyone can rate this below a 5 star is beyond me. Beautiful acting, so moving, wonderful sets, gorgeous theatre. I cry every time I go and see it. I was lucky enough to have a ticket to the 30th anniversary gala performance, where the initial cast came and sung - truly beautiful! An Iconic show in West London!!!! One of my all time favourite shows on the West End! I recently saw it for the second time and will definitely go see it again. Unfortunately, because the set is so large for some scenes, even when I had bought a £45 ticket the first time I saw it, the view was slightly restricted. The second time around, I splurged on a £70 ticket and it was well worth it! The calibre of singing from all the actors is incredible and I like how it seems every cast member gets at least a few bars to sing on their own throughout the show. I saw the movie first and didn’t really enjoy it. Don’t let this turn you off of seeing the musical though - it is so much better! We missed it!  My daughter took I'll and we gave our tickets to friends. Tho? They loved it. We hope to go tonight if we can get good seats. The songs are stunning, the performances from the whole cast are incredible and the stage design is hugely impressive. There's nothing not to love - if you want to see a show that will excite you and, ultimately, move you, this is the one!! Still my favourite musical after all these years. I've been to see Les Miserables with my family fice times now and it never disappoints. I can't imagine anyone not absolutely loving it. The production is always outstanding, there are always incredible performances and those songs are in my head for days afterwards (in a good way!) If you've never been - you must go and see the fabulous Les Mis... there is a very good reason why it is still in the West End after 30 years! 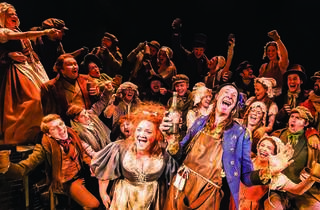 No self respecting theatre lover can consider their West End Theatre CV complete without a trip to Les Miserables, it's an absolute powerhouse of a musical and quite rightly lauded as one of the best long running shows in London. This musical is amazing. I had seen the movie and then went to see it in the theater. I just loved it. Excellent set designs, nice performances, music to remember after show. I would definitely suggest it for a West End night out! Stunning! I love this show so much, I must have seen it five times now and I cry every time. If you haven't seen it before, you absolutely must. You will not regret it. Do you hear the people sing?! It's the sound of the audience shouting 'Encore'! I cannot recommend this West End show highly enough, there's a reason why it is currently celebrating 30 years in the West End. This show is a timeless masterpiece, probably the reason I've seen it at least 10 times. Songs, action, heart and staging is inspiring. For a West End, tickets can be sought quite cheaply. I've seen this show 9 times and am getting withdrawal symptoms from not having been for 2 years. I get a shiver down my spine when the first few notes of the show strike up. The songs are wonderful and the interweaving plots set in the time of the French Resistance are engrossing. I feel that the level of performance has declined somewhat from former times but I still love it. I have watched Les Misérables the film many times and it is one of my favourites. Watching the musical at the theatre was certainly different but it was an equally enjoyable experience. I would add, though, it is important not to compare the two when watching them. The singing is majestic and the songs are performed incredibly well, particularly the songs ‘Master of the House’ and ‘One Day More’. The plot, on the other hand, may not have been easy to follow for someone who did not know the storyline. For example, the play highlights when the year changes from 1815 to 1823 but then does not make obvious the next skip in years. The fact it is set during the French Revolution is also not made clear, and the gun-battle scene springs upon you without much background. The performance of Jean Valjean by Peter Lockyer was solid if unspectacular, but he was out performed by Javert – the stringent, law-abiding officer played by Jeremy Secomb. Having said this, you will leave with goose-bumbs following an excellent and moving production of a classic story. I loved this show. I was sat very high up but the view was not bad at all. The storyline was told very well, the scenes just changed from one to the other very quickly and this helped the story to flow smoothly. The music was great. Even though we were told the seats would have a restricted view, we had no issues at all with seeing the stage. I have seen Les Mis several times before, and never tire of the story, with its mix of politics, love, and bravery. My son & I thouroughly enjoyed the whole evening . I would highly recommen this show storyline very emotional. 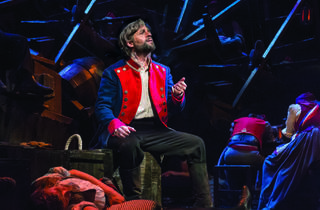 Les miserable was a power full and emotional show. At the end of the show I had teares in my eyes as it was so good and you could folow the story easrly. Do you hear the people sing? 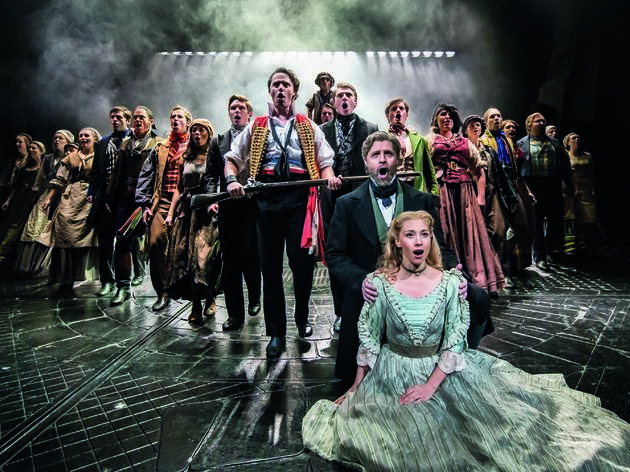 It is the sound of ‘Wow - that was worth every penny!’ As we all spent several hours engrossed in the journey of Les Miserables: Shedding a tear at the barricades, rejoicing when Cosette and Marius finally get together and crying once again when Val Jean dies. Until the final curtain falls, and we are left begging for more. Even though the male cast is slightly stronger than the female singers. And, at times, my view was a bit obscured. It did not detract from drama and spectacle of it all. There is no point in reviewing Les Mis, as there are no words to describe how beautiful and splendid this musical is. i wouldn't know where to start, if I had to list the things I liked most - the whole experience is simply amazing, the whole atmosphere was breath-taking. A classic and must see show. The show was delightful! I was worried about it being fairly long but for a more classical musical, it was amazing. The cast, especially Rauth, had strong vocals and an amazing performance. The staging was well done in the relatively small theatre and the battle was exciting. Overall an exciting, heart wrenching, and enjoyable film. The most amazing production I have ever seen and I've seen a lot. I ended up crying the acting the singing the dancing the lines were so perfect and emotional. This really is a must see play just because of how amazing it is. So much better than expected. Planning to see les miserables again haha. To be honest I have fought going to see this musical ever since it opened, i was convinced i would hate it and had no interest in what i beleived the theme and storey was, but as one of my favourite actors and singers was in it "Ramin Karimloo" who i had seen many times as the Phantom and who I think is totally amazing, I decided that before he left the role if i was going to see it now was the time, Well what can I say? from saying that no show would ever take over as my favourite "Phantom of the Opera" how wrong could I be, Les Mis totally blew me away, it truly is the best I have ever seen, so much so, that immediately after seeing it my husband and I have booked to see it again in a weeks time and I cant wait, so if you have ever had doubts about seeing this fantastic show, take the plunge and give it a go, You surely wont be disappointed. One this is the longest running musical in the commercial world! 2 this is the best musical ever in the world. 3 it should run forever it's more of an institution than a blockbuster!! If I could give this musical more than I would! Absolutely brilliant! !